Todd Bol built his first Little Library in 2009 after he had lost a job, and put it in the front yard of his house. MPR says he used it as the centerpiece of a garage sale in 2010, and visitors went nuts over it. Bol then knew what his next adventure was. HUDSON, Wis. - The founder of a phenomena that has given a boost to reading across the globe has died after a battle with pancreatic cancer. MPR News reports that Todd Bol was 62-years-old, and had been diagnosed only recently. 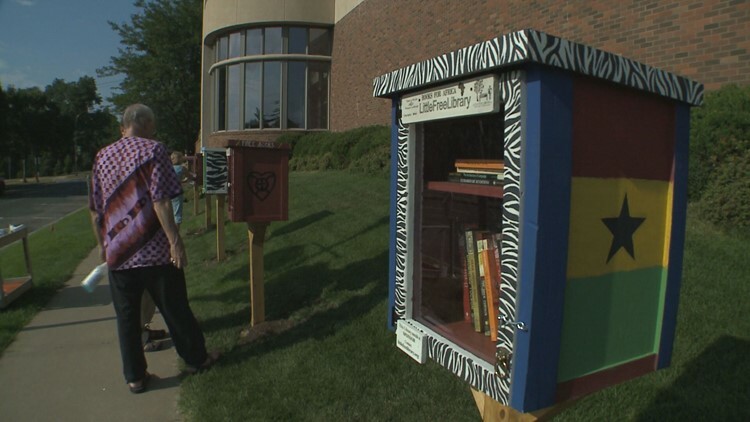 Bol built his first Little Library in 2009 after he had lost a job, and put it in the front yard of his house. MPR says he used it as the centerpiece of a garage sale in 2010, and visitors went nuts over it. Bol then knew what his next adventure was. KARE's Boyd Huppert visited Bol in 2013 for Land of 10,000 Stories. At that point there were more than 10,000 Little Free Libraries in existence. Today there are 75,000 in 88 countries around the world. Bol's younger brother, Tony, told MPR News that the rapid growth really demonstrates what he called his brother's genius. "He has always used the phrase, he's a social entrepreneur. And the Little Free Libraries are more like a movement than a market. He's more in the creating mindset than the selling mindset." "He just loved the thing so much, and he resonated joy as he talked about it. It was infectious and that worked," Bol added. Todd Bol had only recently become ill, but entered hospice care in recent days. He is survived by his wife, Susan, and adult children, Austin and Allison.